Hot smoked (or barbecued) salmon is smoked at 80 degrees in a time-honoured tradition. 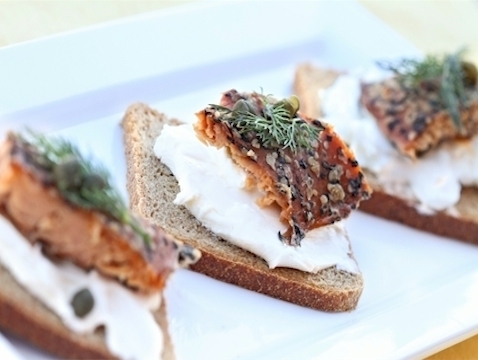 There are two hot smoked salmon types - with or without spices. This hot smoked, spiced organic salmon is utterly delicious and comes coated with a layer of colourful and tasty spices and herbs.